BioWare's epic space opera will continue, but whether it will move forward or backward remains undecided. In an interesting bit of fan crowdsourcing, BioWare's Executive Producer, Casey Hudson, polled his sizable Twitter following as to what they want out of the next Mass Effect title. 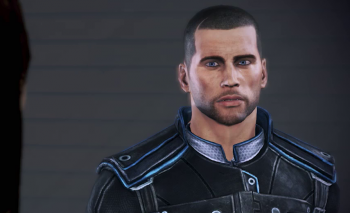 More specifically, Hudson asked whether or not gamers would be interested in a prequel to the original Mass Effect trilogy, or if an adventure taking place after the current games is preferable. His tweet reads: "Parsing through your thoughts on the next #ME game. Would you be more interested in a game that takes place before the trilogy, or after?" BioWare has already revealed that work on a new Mass Effect title is underway. It remains unclear whether the upcoming title is early enough in development that a concrete storyline isn't decided upon yet, or if Hudson is referencing a future Mass Effect title not yet conceived. Responses to Hudson's impromptu poll were predictably varied, with vocal proponents of both theoretical timeframes. Those wanting a prequel claim they don't want to tarnish Mass Effect 3's ending with an additional adventure, while others demand that the series move on, letting history remain history. Where do you stand?